It&apos;s spring - which means it&apos;s time to bust out your brightest colors. 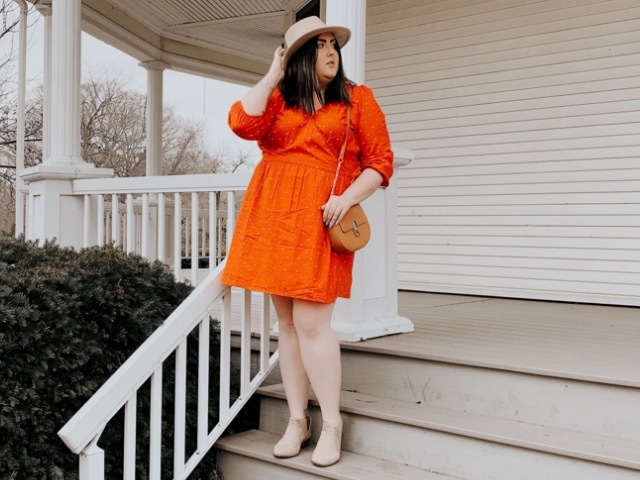 Published April 8, 2019 at 6:01 p.m.
Spring fashion is a great excuse to bring more color to your wardrobe and to unveil your pasty legs to the world again! My style this season is going to be all about adding more color to my wardrobe. Since I tend to gravitate mostly to blacks and grays, I've decided to upgrade my spring wardrobe to have more fun, vibrant colors. But even beyond the colors, this bright wrap dress is perfect for any occasion this season, and it's so flattering. Camel-colored accessories are perfect to create the ultimate spring time look. 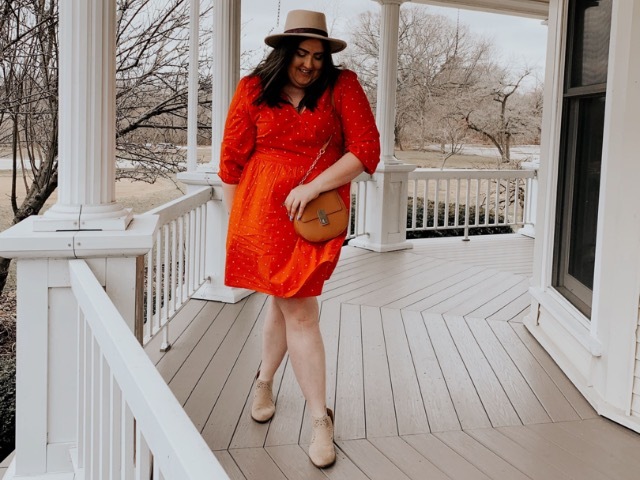 These booties are perfect to wear on the chilly spring days and will easily transition into multiple seasons, while the camel hat and bag are super versatile to add to any outfit – like in this look, allowing the dress to be the star of the show.